Series of fatal crimes against women in last few years and the latest one in particular make clean examples of how efficiently and promptly the whole system works to ensure enhanced security to women in Odisha. Death of woman teacher Itishree Pradhan, who was set ablaze in a school hostel in Odisha’s Rayagada district, has once again brought the issue of safety and rights of women to the fore again. Growing numbers of such crimes against women have raised serious doubt over the actions of Odisha government to ensure safety to the women in the state. 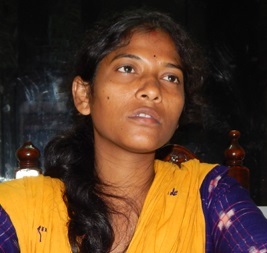 Worked as a contractual teacher at Tikiri Upper Primary School in Rayagada district, Itishree was set afire on October 27 and she finally succumbed to the born injuries after struggling for life for five days in a private hospital in Vishakhapatnam in Andhra Pradesh.